In the first half of 2017, investors, startups, and regulators may have got the feeling that the “old” way for early stage financing with business angels and venture capital partners is dead. Instead, it seems, cryptographic blockchain concepts have developed a “new” and much more exciting way to finance early stage startups and projects. This “new” way is called Initial Coin Offering (ICO) where start-ups and/or project issue their own cryptographic coins or tokens to raise CryptoCapital to fund their ideas and businesses. In the first 7 months of 2017, we have seen more than 100 of those token sale campaigns raising more than 1 Billion Dollars by issuing cryptographic coins and tokens. Some expert already declared the end of venture capital. Within just a couple of months, a global ICO industry arose with respective events and advisers promoting this new way. This “ICO Rush” received a setback when the U.S. regulator SEC issued its investigative report on the DAO token and made pretty clear that cryptographic tokens may be regarded as securities and that DAO tokens are definitely securities. FinTech Academy has always been a blockchain and cryptocurrency advocate. We successfully did a Blockchain Event in 2015 before the ICO fever ignited. 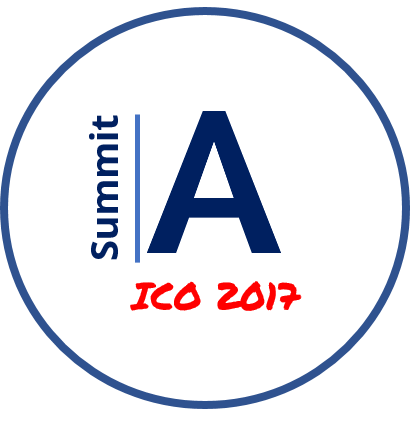 Our ICO Summit Vienna 2017 is positioned to provide a critical wrap up over the last couple of months to start-ups, investors, regulators and interested people. The Scope of the Vienna Summit is to provide the audience experiences gathered over the last couple of months from different angles. A focus of the Vienna Summit will be dedicated to investors and the regulatory environment of token issuances and token investments.